Jose Rizo's Mongorama — Laguna Beach Live! 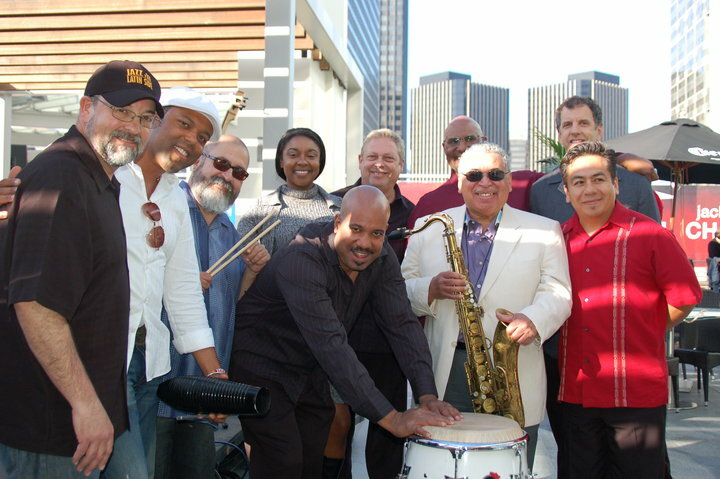 “Mongorama” is a 9-piece Latin-jazz ensemble exploring the early Mongo Santamaria charanga-jazz material of the 50′s and early 60′s. “Mongorama” celebrates this music preserving the “old-school” element, yet refreshing it with a modern perspective. “Mongorama” will feature* tenor saxophonist Kamasi Washington and flautist Danilo Lozano with Adonis Puentes (lead vocals), Ramon Banda (timbales), Joey De Leon (congas), Alfredo Ortiz (perc/vocals), Rene Camacho (bass), Alberto Salas (piano), and Dayren Santamaria (violin).